Lesley-Anne and her husband Don FauntLeRoy collaborate on a their new project "Unicorn". Shortly, they will begin production. 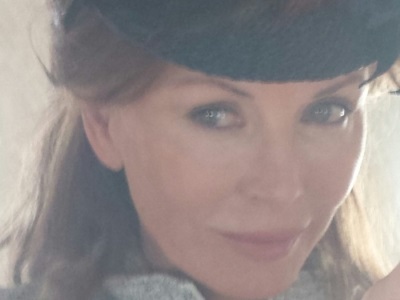 Lesley-Anne has written the script and she is directing the second unit. More info later this month. Lesley-Anne's movie "In Extremis" wil due in theatres in January 2017. The movie, a psychological thriller in which young souls possess a teenage boy for their redemption and his salvation. 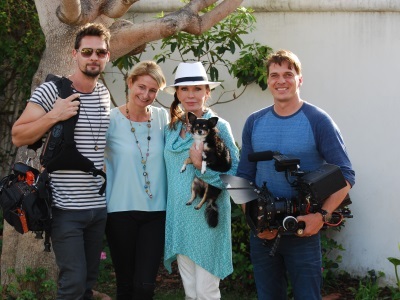 Lesley-Anne plays Sister Clare opposite Brandon Beemer (ex- Owen The Bold and the Beautiful). The movie was filmed in California. 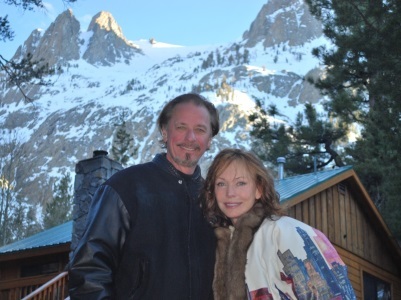 Lesley-Anne's A Cinderella Christmas airing Sunday, Dec. 4th. ION Television has announced that Lesley-Anne's new movie "A Cinderella Christmas", will airi on Sunday, Dec. 4, 2016 at 9 p.m. ET. In this modern take on the classic fairy tale, Angie takes the opportunity to let loose at the Christmasquerade Ball and escape her cousin’s shadow. She catches the eye of Nicholas, a wealthy bachelor, but leaves before revealing her identity, leaving him searching for the mystery woman. Lesley-Anne plays the handsome bachelor’s mother, Victoria Carmichael, who she insists isn’t a wicked stepmother. New movie "A Cinderella Christmas"
Lesley-Anne Down will be doing another movie called "A Cinderella Christmas". Lesley-Anne to star in western "Justice"
Lesley-Anne has joined the cast of Justice, an indie Western starring Jamie Lynn Sigler and Stephen Lang. She went to Santa Fe, New Mexico to shoot her role as Elizabeth, the mother of Sigler’s character Melissa. Premiere screening for the The List directed by UCLA Extension instructor Harris Goldberg and starring Lesley-Anne, Patrick Fugit, Karen Gillan, Jennifer Morrison, Aaron Staton, Eddie Kaye Thomas, JoBeth Williams, Bob Gunton, Gilles Marini, Michael Nouri, and Ryan O'Nan. Lesley-Anne plays Victoria. Where: DGA Theater 1; 7920 Sunset Blvd. Lesley-Anne landed a role in the new movie Justice. It's a western. Lesley-Anne will play opposite Jamie-Lynn Sigler. Jami-Lynn is an American actress and singer. She is known for her role as Meadow Soprano on the HBO series The Sopranos. 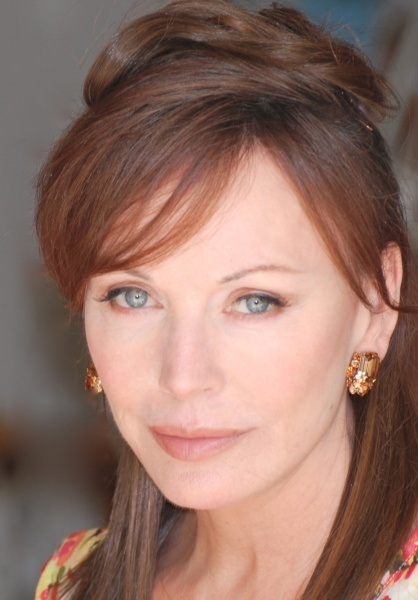 Lesley-Anne will be playing her mother Elizabeth. Fiilming wil be taking place in New Mexico. Kill Me, Deadly will run for a week at Laemmle Ahrya Fine Arts in Los Angeles. There will be a Q&A with Cast & Crew on the night of April 1st. Lesley-Anne won't attend as she is filming another movie. 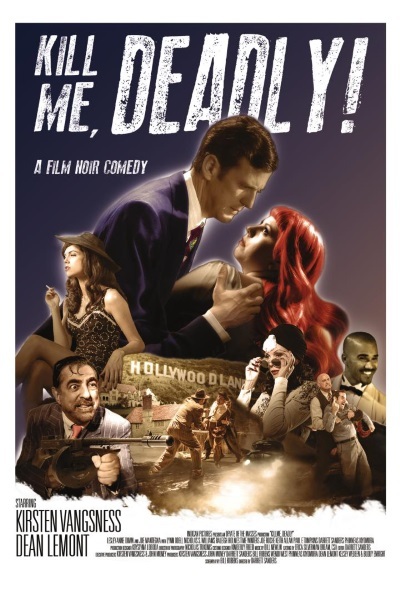 Tickets for "Kill Me, Deadly!" will go on sale Tuesday, March 29th at 7pm. The film is available on Amazon Prime starting April 12th. The first report about Lesley-Anne aired on March 15th on the entertainment Show "Leute heute" on ZDF.